There are many delightful walks from Yew Tree Farm but the most popular is the walk to Gawsworth – one of the treasures of Cheshire with its fine half timbered hall and its elegant church with some of the finest tombs to be found anywhere. These are set, together with the new(er) hall in a landscaped area with well groomed hedges, fine trees and water features. The walk takes you through lovely countryside with views of the hills, along the canal bank by a flight of locks through woods and pastures to Gawsworth. A more detailed map of the Gawsworth Walk is available for guests at Yew Tree Farm. The short route shown here is approx. six miles and the longer route seven and a half miles. 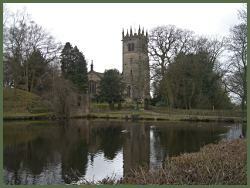 This Gawsworth walk has been featured in Cheshire Life as a classic Cheshire walk. Within a few steps from the front door of Yew Tree Farm you will find delightful views over pastoral countryside of Bosley Cloud and of the Peak District hills. 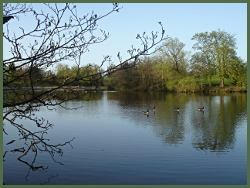 Walking anti-clockwise round the route ( if that is your choice) you carry on for a few hundred yards down a farm lane and discover a delightful peaceful lake rich in birdlife – a secret spot to stop and enjoy the tranquillity. 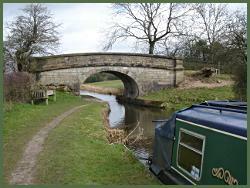 About a mile from Yew Tree the route takes you along the Macclesfield Canal towpath where you can watch the narrowboats working their way through the locks and negotiating the swinging bridge at Fool’s Nook where there is a public house which serves meals and lighter refreshments. 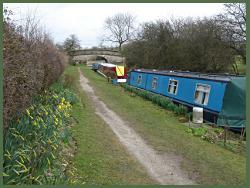 The canal was completed in 1831 and forms part of the ‘Cheshire Ring’. 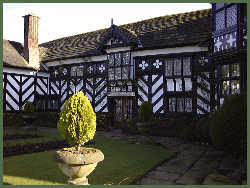 Just over half way round the walk lies one of the true gems of the Cheshire landscape – the half timbered 15th Century Gawsworth Hall set in a peaceful hamlet of fine buildings including the medieval church of St. James, the Old Rectory and the New Hall which are set around an attractive group of fish ponds. 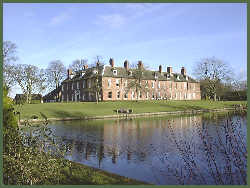 Gawsworth Hall is open to visitors and during the summer months offers a series of concert and theatre events in the open air. The church of St. James is well worth a visit and contains fine tombs and special pews of the Fitton family who once owned the hall. 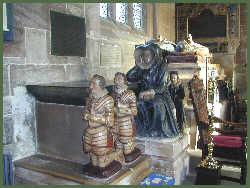 Mary Fitton is thought to have been the Dark Lady of Shakespeare’s sonnets and was maid of honour at the court of Queen Elizabeth the First. 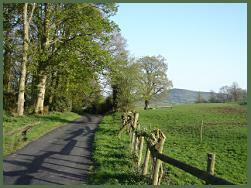 The remainder of the walk takes you across open countrsyide to North Rode and Yew Tree Farm.